Uitenhage is a small rural town nestled in the Swartkops River Valley region near the Great Winterhoek Mountains, with Jacarandas and Oaks lining the streets. 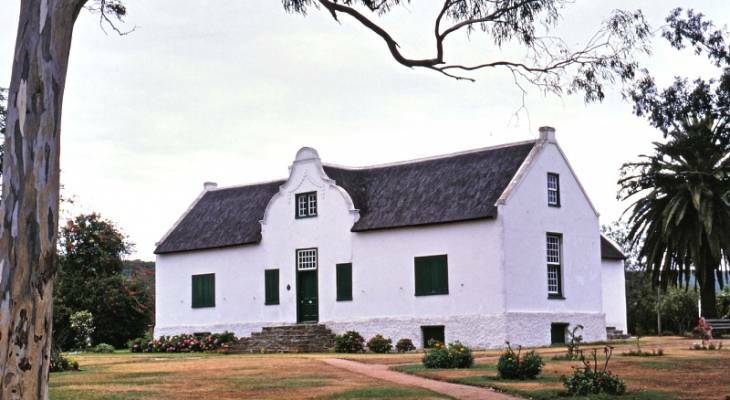 The Uitenhage Museum consists of 3 sections, the Drostdy Museum, the Old Railway Station Museum and the Cuyler Manor Museum. The Prickly Pear Festival is held in Uitenhage near the end of February at the Cuyler Hofstede Farm, with plenty of fun for the kids, and interesting prickly pear cactus products ranging from jam to moonshine. The Uitenhage Nature Reserve offers rich birdlife and examples of local flora including the Aloes and other Karoo-type succulents that thrive in this dry landscape. The Springs resort, just outside the town, offers artesian springs, several walks and wild bird spotting. Uitenhage overview. Uitenhage Accommodation and Information.